Here am with a quick breakfast idea or dinner idea, one of the great way to incorporate vegetables into your dish. 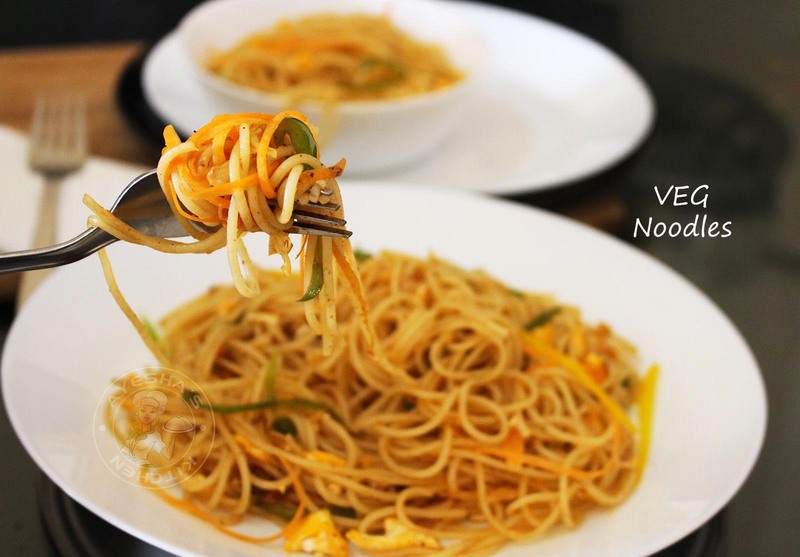 How about a healthy vegetable spaghetti noodles recipe to enjoy with your family on busy weekends? 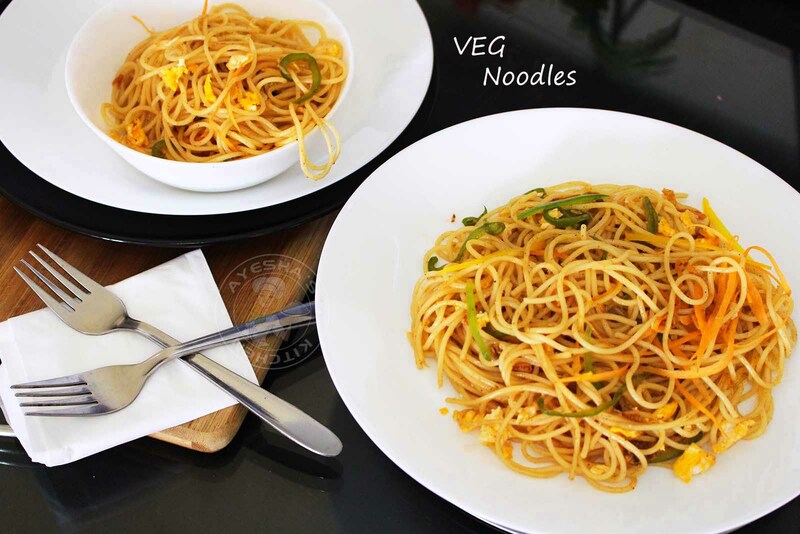 This whole wheat pasta recipe really works as it will entertain your noodle addicted kids. 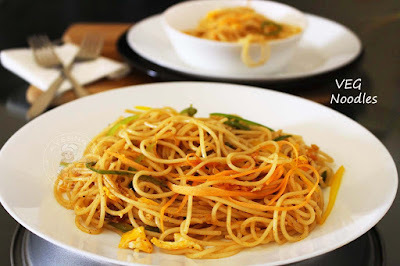 This noodle recipe with wheat spaghetti and spiral shaped vegetables is healthy, flavorful and comfort food. Here i used spaghetti instead of noodles packets. You can add your favorite vegetables but must be little attractive to impress your kids. So i made some spiral shaped carrots instead or thin julienne. You can make spiral carrots with a knife , just check the pic below. I served this simple vegetable noodles as it own but you can serve it with chili gobi or veg manchurian. Here is the recipe showing how to make noodles recipe easy /spaghetti dishes /egg noodle recipes /stir fry noodles /vegetable noodles recipe / veg spaghetti recipe / easy healthy pasta recipes / recipe for spaghetti. Cook the spaghetti... For that, heat enough water in a wide bottomed vessel. Once boiled, add salt and then add the spaghetti. Do not break it. Cook for 5 - 8 minutes or as per the package description. Once done, drain it into a colander. Add a teaspoon of oil and combine well. Set it aside. Combine together tomato sauce and soy sauce in a bowl. Pour it over the cooked spaghetti and mix them well. Again set aside. Heat a pan with oil and scramble the whisked egg. Set aside in a bowl. In the same pan, heat butter and saute garlic paste for a while. Do not burn it. To this add carrot julienne (you can use julienne peeler for this or here is a tip to make carrot julienne with knife . check the 5th and 6th pic), cabbage sliced or julienne, bell pepper thinly sliced. Add pepper powder and salt. Combine well. Now add the cooked spaghetti and toss well for two minutes. Check for salt. Add the scrambled egg and combine. Garnish with any vegetable julienne.